Fans of modern technology aren't only found in gaming and smartphone circles. Car buyers wish to see technological improvements with new cars. The luxury crossover SUV known as the Lincoln Nautilus presents some interesting new technological advancements. Adaptive cruise controls displays advancements in tech. The lane-centering function, in particular, may allow the SUV's cruise control feature to improve rides. The combination of radar and camera working together support keeping the vehicle centered in its lane. The Lincoln Continental comes equipped with a number of important performance features that make it a small, yet powerful and reliable, vehicle. The car includes an impressive Twin-Turbocharged V6 engine, which provides it with great horsepower and all wheel drive power terrain options. Take your Lincoln MKC out for a drive and never be afraid that you are going to end up in a terrible situation that you had never anticipated. That is because you know that the performance of this vehicle is something that you can always rely on. The designers of the Lincoln MKC have made sure to put some safety features first. When looking for a vehicle, you don't want to just pay for a vehicle. You also want to get some kind of service. When you buy a regular used vehicle from a private seller or other party, you are actually doing yourself a disservice. Looking up certified pre-owned Lincoln vehicles from Southgate Lincoln will open you up to possibilities in services. Every team member at Southgate Lincoln knows how important safety and convenience are to drivers. That's why we're so excited to introduce you to the new Lincoln Nautilus. This new luxury crossover is available with Adaptive Cruise Control. It uses advanced sensors to give you a worry-free driving experience. The 2018 Lincoln MKZ is one of the popular luxury sedans to get in to if you are looking for affordability, class, and technology. The advanced technology package inside of the MKZ is well worth the wait for the remodel, as the latest features boast SYNC 3 infotainment with Apple CarPlay and Android Auto. This means that you can instantly connect to your smartphone and drive without ever having to use your hands for texting, setting up music, or accessing your favorite apps. 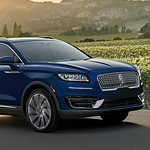 For residents in the market for a new crossover vehicle, the Lincoln MKX might just be the perfect answer. Here at Southgate Lincoln, we are particularly fond of this vehicle's many wonderful design features. When it comes to style and beauty, the MKX just gets it right. Its ambient lighting system makes the vehicle's cabin a joy to spend time in. Available in a choice of seven different colors, this feature does a wonderful job of bathing the interior in an elegant glow of light and providing the perfect complement to even the longest commute. Here at Southgate Lincoln, we understand how important it is to have a car that offers an abundance of power, handling, and performance. That is exactly why we so often recommend the new Lincoln Continental to our friends and neighbors. As well as being incredibly stylish and technologically advanced, this luxury car is packed full of all the performance features you could possibly need. The Continental's available Twin-Turbocharged 3.0L V6 engine stands out in its class. This impressive piece of engineering can produce 400 horsepower and up to 400 lb-ft of torque. If safety is on your mind, even in a crossover that is as upscale as the Lincoln Nautilus, then we at Southgate Lincoln are proud to present its excellent safety features. It comes with a standard Personal Safety System that includes dual-stage airbags for the front, safety belt pretensioners that are also in front, a driver’s seat position sensor, a crash severity sensor, and a restraint control modules, among other features. To help soothe the aches and pains that often accompany long drives, the available Ultra-Comfort front seats with Active Motion power-adjust in up to 11 ways. Salt on the road is meant to help drivers stay safe while they are out on the road. The concept is that the salt will melt any ice that may come as a result of snow. This is great for keeping people safe, but it also means the potential for salt corrosion.